A launching pad for a new Acura? Production of the new NSX will be low, only about 800 vehicles a year. If you're interested, be prepared for a long wait as the car is essentially hand-built in a factory in Ohio. The 2017 Acura NSX puts the classic nameplate through a worm hole, and trades all its undiluted mechanical purity for astonishing all-wheel-drive hybrid performance. It's taken a full generation in people years, but there's a new Japanese supercar hitting the streets in the form of the 2017 Acura NSX. It shares the same initials, but the new NSX is almost nothing like its forebear. It's a halo car, true, but it's one that replaces the mechanical purity of the original for a wildly synthetic driving feel—really, a masterful performance of integrating turbos, servos, clutches, gears, motors, and batteries. It's one of the most complex pieces of car engineering on the planet, but the new NSX feels remarkably of a piece. It's an even-tempered supercar, one capable of shattering acceleration and speed. The new NSX is a rival for cars like the McLaren P1 and Porsche 918 Spyder in terms of engineering, but in the real world, it runs with supercars like the Audi R8, Porsche 911 Turbo, even the BMW i8. You know, practical supercars. The NSX is the best-looking Acura in a generation. Its influences deserve to play out far and wide across the Acura lineup. The body uses aluminum and composite exterior panels and is offered with an optional carbon fiber roof. Acura designed the body to minimize aerodynamic drag while also balancing front and rear downforce. Cooling was also a major consideration in the design. The result is a wedge-shaped car with prominent cooling ducts on the rear fenders, a conservative rear spoiler, and no active aero components (such as an active rear spoiler or active front grille shutters). The front end features a stylish take on Acura's beak-style grille, flanked by large air intakes and LED headlights. Air flowing over the roof and down the rear hatch glass is captured to cool the engine compartment and clutch cooler. At the rear, a diffuser works with the spoiler and taillight slots to generate downforce. Acura calls the cockpit "human-centric," saying that the design is ergonomically enhanced for the driver and passenger and claiming that it has enough head room for a 95th-percentile adult male. The cabin is upscale, with many surfaces covered in leather and/or Alcantara. The controls on the center console are arranged in a "Simple Sports Interface" and designed to limit distractions. The 2017 Acura NSX does an astonishing job of stuffing all its hybrid and all-wheel-drive hardware into a scorching, grippy performance envelope. The powertrain consists of a twin-turbocharged 3.5-liter V-6 that puts out 500 horsepower. It uses dry sump lubrication, which allows it to sit lower in the chassis and protect against oil starvation during performance driving. Between it and a 9-speed dual-clutch transmission is a 47-horsepower electric motor that can aid the engine or act as a generator to charge the lithium-ion battery. An additional twin-motor unit is located at the front. Each motor provides 36 horsepower to one front wheel, and power constantly varies between the front wheels to give the car a distinct version of all-wheel drive with torque vectoring—which Acura dubs "Super Handling-All Wheel Drive"—that can help the car turn more readily into corners. The twin-motor unit can assist the engine for a total output of 573 horsepower, or can power the car on its own in light load situations. While the midship engine was mounted transversely in the first-generation NSX, this one is mounted longitudinally in the car's aluminum spaceframe. The lithium-ion battery is mounted vertically behind the driver, and weight balance is 42 percent front/58 percent rear. A drive control unit sits between the passengers, and dictates how power is shuffled from the batteries to the front motors. The suspension consists of a front double-wishbone design and a multi-link rear, with active adaptive dampers at all four corners. The steering has electric power assist and variable gear ratios. Brembo provides the brakes, using 14.5-inch ventilated rotors with six-piston, two-piece calipers up front and 14-inch ventilated rotors with four-piston monoblock calipers at the rear. Continental Conti-Sport Contact 5P tires are standard, 245/35R19s up front and 305/30R20s out back. Pirelli mid-line tires are an option, while sticky Michelin Pilot Sport Cup 2 tires are the most expensive treads, destined for track use. An Integrated Dynamics System is standard as well. It has Quiet, Sport, Sport +, and Track modes, each of which controls various vehicle systems to achieve the desired results. The affected systems are the steering, brakes (mechanical and regen), stability control, dampers, engine, transmission, and SH-AWD. Quiet mode prioritizes efficiency and allows electric-only driving at lower speeds. While the engine comes on when needed, it is limited to 4,000 rpm in this mode. The net of all of this is a well-ordered supercar with handling as progressive as its worldview. It melds electric and gas power into a seamless stream of scorching supercar performance. Versions with base tires have been said to oversteer; our driving on mid-line tires mostly nullified that claim. The NSX likes to be driven rhythmically, with even inputs, early turn-in and throttle lift, and lots of trail-braking. It's an exceptional piece of powertrain integration, from the melding of hybrid to gas power, regenerative braking to carbon-ceramic friction stopping power. All the digital inputs get relayed to the semi-analog world without a stutter. The NSX can be driven quickly without feeling nervous or twitchy. If there's such a beast as a "tame supercar," this is it. The NSX is astonishingly quiet in its city-driving mode, and the cabin's sized well for two passengers. There's a modicum of storage space for weekend bags, but the low-slung cockpit renders the rear views almost opaque. The rearview camera and parking sensors are absolute necessities. As of yet, there's no crash-test data for the new NSX, and safety gear is missing some of the latest technology. All cars get the usual airbags and stability control, as well as a multi-angle rearview camera, but those parking sensors are one of many options that cause the price to balloon. At a base price of more than $158,000, the NSX comes with cruise control; keyless ignition; a manual tilt and telescoping steering column; dual-zone automatic climate control; and LED ambient interior lighting. The infotainment system has a 7.0-inch touchscreen display audio system, Bluetooth audio streaming, two USB ports, HD radio, Siri Eyes Free voice control, Apple Car Play, and Google Android Auto. With options, the 2017 NSX can float toward the $200,000 mark. Options include satellite radio; carbon-ceramic brakes; a carbon-fiber roof; a carbon-fiber engine cover; a carbon-fiber rear spoiler; and an Alcantara headliner. A Technology Package adds a nine-speaker ELS audio system, navigation, AcuraLink telematics service, and front and rear parking sensors. With a plan to sell just 800 cars a year in the U.S., the new NSX's huge premium over the original doesn't matter much, not in a world of Audi R8s and 911 Turbos wearing similar stickers. The NSX will be exceedingly rare for at least a couple of years, while cars trickle out of the Ohio facility that's essentially hand-building them. The NSX is the best-looking Acura in a generation; let's hope its influences play out far, and wide. The 2017 Acura NSX will one day be seen as the car that broke the Japanese luxury brand out of its styling doldrums. It's a neat riff on the supercar stylebook. It's inspired by a slew of supercars, but doesn't mimic them at all, and introduces a few new hooks to the songbook. Inside, the spartan, Civic-like interior of the original NSX has given way to a luxe, leather-lined cockpit missing some traditional cues. The first signal the car sends the driver is a mixed one. The console camelbacks where a shifter should be, but the NSX doesn't have a lever. It has the same push-button transmission controls as a Honda Pilot. It's a relief to find long paddle-shift controls behind the steering wheel. Look up, and the NSX's 8.0-inch digital display lays the virtual gauges on a slightly odd plane, tilted away from the driver. The pod's dominated by a tach, and toggles through color schemes from blue to red, based on the selected driving mode. Switches and rollers run secondary systems from the steering wheel. A second screen—either 7.0 inches or 8.0 inches—runs the audio interface or the optional navigation. Elsewhere, the NSX sweeps the driver and passenger up in a leathery embrace, while big strokes of metallic trim outline the banks of controls and the horizon of the dash. Lightly treated leather can be ordered, and the NSX can go full-pimp with a carbon-fiber trim kit that looks just like similar treatments in other luxury and performance cars. That is to say, relentlessly showy and somewhat inexpensive. The shape is dictated by aerodynamics, but the outline isn't rendered entirely by airflow. The NSX wears big air intakes at the front and sides, and its side mirrors fly off on antennae like a Testarossa. The shape is smoother than it might be; some of the ducts and scoops that could disfigure its body are formed into its outline. Air moves down the rear glass, for example, and gets diverted invisibly to cool the engine and clutch, then exits through massive and visually correct rear-end ducts. Pretty details tie it all to the Acura lineup. A large Acura badge and calipers breaks up the stubby tail. Telegraphic LED taillights arrest the chiseled, broad rear fenders. The 2017 Acura NSX does an astonishing job of integrating all its hybrid and all-wheel-drive hardware into a scorching, grippy performance envelope. The 2017 Acura NSX has the same name as its ancestor, but the two cars couldn't be more different. 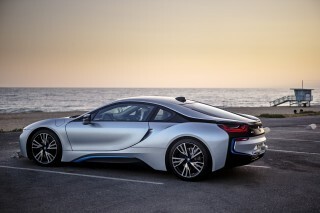 Despite its complexity, it delivers on the promise of supercar speed and driving clarity. With its chorus of pistons, batteries, motors, clutches, and servos, its real engineering rivals are cars like the McLaren P1 and Porsche 918 Spyder. The heart of the 2017 NSX is a 75-degree, twin-turbocharged 3.5-liter V-6 rated at 500 horsepower. With both direct and port injection for ideal fuel delivery, the NSX also has turbos that run at 15.2 psi, and rely on electric wastegate control for evenly regulated boost. From the outside, the V-6 sounds flat and uninspiring. Inside it's a different story. Acura tubes in some selective sounds from the NSX's engine bay to give it a more muscular ripple—a throwback to the first NSX's distinctive on-cam VTEC soundtrack. The engine is mounted longitudinally over the car's rear axle. 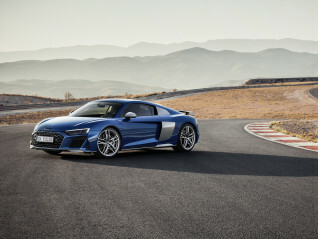 It connects through an electric motor to a 9-speed dual-clutch transmission and a limited-slip differential. The transmission is one of the most sophisticated dual-clutches around, but it may as well be an automatic. Paddle controls are there for the shifting, but engineers say—correctly—that the NSX's predictive shifting does a better job of cruising and careening around a track. The NSX is fastest in Track mode, where it holds low gears in corners and upshifts where it hits long straights. In almost any case, you can't beat its shift points with the paddles unless you're a career pinball junkie. Between the transmission and engine, there's a direct-drive motor that adds 47 hp to net output, charges the battery pack, and smooths out shifts. A four-pack of lithium-ion battery units (72 cells in all) sits ahead of the engine. In front of them, down the center of the car, there's a power drive unit that regulates battery electricity sent to the motors that power front wheels. Each motor kicks in 36 hp and 54 lb-ft maximum to individual front wheels; the car car run under light loads on that power alone, or can continuously shift power between the front motors to give the NSX torque-vectoring control. All together, the specs tally up to a total system output of 573 hp and 476 pound-feet of torque. Acura pegs 0-60 mph times at 3.0 seconds, delivered on demand with a launch-control mode. Top speed is rated at 191 mph. Acura quotes a curb weight of 3,803 pounds, with a 42/58-percent front/rear weight distribution. EPA-rated fuel economy on recommended 93-octane fuel is 21 mpg city, 22 highway, 21 combined. In every way, the NSX translates electronic forces and inputs into mechanical action—and it's very, very, good at it, from the suspension's ability to deliver a comfortable or firm ride, or the steering's range of careful to quick responses. The hardware combines electric variable-ratio steering with a suspension composed of aluminum wishbones front and rear, damped by a set of springs wrapped around magnetic-fluid shocks that change stiffness according to conditions. Those systems can also change their attitude based on driving inputs and chosen modes. Acura fits a system that lets NSX drivers pilot their car in programmed modes, from Quiet, to Sport, Sport+, and Track. In Quiet mode, the NSX runs on electric power as much as it can, and engine revs are limited to 4,000 rpm. Sport mode remaps throttle delivery and shift speeds, lifts the rev limit, pipes in noise to the cabin, and is the car's default mode. In Sport+, the NSX's displays change from blue and grey to yellow and red, and the car throws down maximum motor torque, more steering weight, and more piped-in noise. In Track mode, the sound pipes open wide, touchscreen access to A/C and audio systems is blocked, and launch control is enabled. Track mode also maintains battery charge at 60 percent for consistent lap-to-lap performance, cutting some power to the engine when it's needed to charge the pack. The most impressive use of electric and mechanical power together is in the NSX's Brembo brakes. They're 14.5-inch ventilated rotors with six-piston, two-piece calipers up front and 14-inch ventilated rotors with four-piston monoblock calipers at the rear. Braking also encompasses regenerative power from the NSX's motors, and it's also governed by the drive-mode selector. Forces from both the motor braking and friction brakes are blended by an electric servo to deliver even, predictable brake feel. Push on the pedal, and the NSX translates foot speed and pressure through consistent pedal feel, no matter which driving mode is selected, no matter whether it's shod with iron brakes or carbon-ceramic rotors. Hookups are highly dependent on how sticky you want the NSX to get. The stock tires are Conti-Sport Contact 5P treads, 245/35ZR-19s in the front, 305/30ZR-20s at the rear. Test cars at Thermal wore optional Pirelli P Zero Trofeo R treads, and for ultimate grip, the NSX can be fitted with Michelin Sport Cup 2 tires—the ones that transform the awesome Shelby GT350 into the incredible GT350R. This NSX has handling that's as progressive as its worldview. 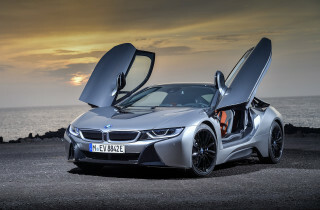 It melds electric and gas power into a seamless stream of scorching supercar performance. 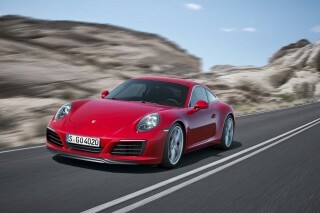 Its all-wheel-drive system confounds sloppy driving, a talent for which it trades off some pinpoint precision. There are traces of understeer if you wait too long to engage in a corner, but once the rhythm makes itself obvious, the new line does, too. Brake, lift, and the NSX's front motors begin to cut the corner closely, blending torque to the outside wheel cleanly with the steering. Roll into the right pedal, unwind the steering, and the NSX moves with neutral and transparent footwork from apex to run-out. The front motors trade off torque or spin in regen mode, while the limited-slip keeps the rear wheels mostly in line. It responds beautifully to trail-braking and powering out of corners. The electro-servo brake pedal stroke is nearly perfect. If there's such a beast as a "tame supercar," this is it. The NSX can be driven quickly without feeling nervous or twitchy. The NSX delivers a highly synthesized driving experience, but the word fidelity often comes to mind. Engineers spent years on algorithms that simulate the truest driving signals, and they've succeeded. The NSX is astonishingly quiet in its city-driving mode, and the cabin's sized well for two passengers. Short but very wide, the 2017 Acura NSX comforts and coddles two passengers, but doesn't provide much in the way of luggage space or rearward vision. By the numbers, the NSX is 176 inches long, 47.8 inches tall, and rides on a 103.5-inch wheelbase. That last stat is well short of what Honda provides between the wheels of a '16 Civic sedan—but at 87.3 inches wide, the NSX is the equal of the RLX sedan. The mix of generous and tight space leaves plenty of room in all directions for 6-foot-tall drivers, especially in head room. The driving position is excellent, but the bottom cushion angle isn't adjustable on any except the most expensive seats. The base four-way manual seats can be optioned up to power leather-and-suede buckets with lumbar adjustment. The NSX's front roof pillars are thin, and the dash is low, which gives the driver an excellent view of the road ahead. To the rear, vision is miserable. Thick pillars and the low driving position leave drivers absolutely dependent on the rearview camera and parking sensors. There's no solution for the meager trunk space, either. At 4.4 cubic feet, it'll fit a couple soft-sided bags and that's it. The NSX is relatively heavy, at 3,803 pounds, despite a body with lots of aluminum and composite body panels and a carbon-fiber floor pan. You'll pay to make the NSX lighter. Acura will sell a carbon-fiber roof panel, interior trim, even a rear lip spoiler. But in terms of fit and finish and build quality, Acura's early-production test cars were very well insulated against sound. Thick leather and glass isolate the cabin from a lot of road noise, while a special exhaust tube feeds good intake noises into the cabin. It's not quiet unless set to a special street-driving mode (where battery power propels the car as much as possible), but the NSX mostly lets only the right noises into the cabin. There's no crash-test data for the new NSX, and safety gear is missing some of the latest technology. The NHTSA and the IIHS have not put the 2017 Acura NSX through their regimen of crash test. 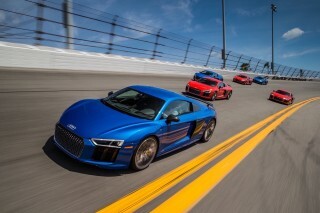 It's doubtful they ever will: neither agency spends much time evaluating high-performance, high-price exotic cars. There's a major caveat with the NSX, though. 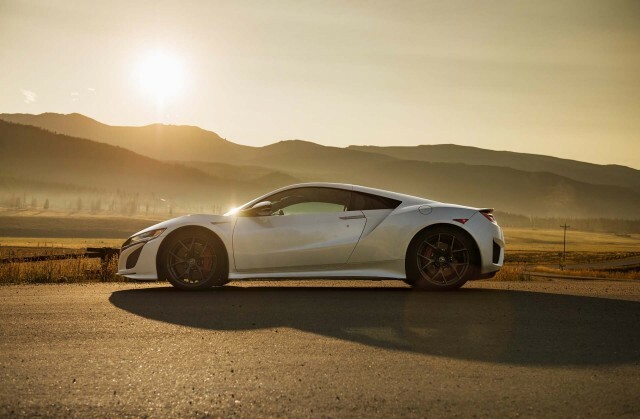 For such an impressive piece of technology, the NSX does not offer and cannot be fitted with features like adaptive cruise control, forward-collision warnings, or automatic emergency braking. Vision to the outside world is great, and not so great. Acura builds the NSX in Ohio, but one critical piece—the A-pillar—comes from Japan, where robots take a heated piece of steel tubing and pull it like taffy into a super-strong, super-thin buttress. With that, the low cowl, and a steering wheel flattened at its top and bottom to preserve the view, the new NSX has recreated the original perspective. To the rear quarters, it's a miserably obscured mess. The driver is completely dependent on the rearview camera and parking sensors to safely tuck the NSX into a parking spot. The NSX's base price has ballooned, even with inflation factored in—and prices rise further when the carbon-fiber fairy makes a visit. When it was new in the early 1990s, the Acura NSX was priced at around $60,000. Adjusted for inflation, that'd be about $105,000 in 2016 dollars. Every NSX comes with a roster of goodies including power locks, windows, and mirrors; leather upholstery; keyless ignition; tilt/telescope steering; ambient lighting; dual-zone climate control; and a 7.0-inch touchscreen interface for audio, which controls Bluetooth audio streaming, Apple CarPlay and Android Auto, and HD radio. A multi-angle rearview camera is also standard, while parking sensors are an option. The NSX does not offer active safety features such as forward-collision warnings, automatic emergency braking, blind-spot monitors, and adaptive cruise control. Configuring an NSX pushes the price tag toward the $200,000 stratosphere. Carbon-fiber is a pricey—and sure to be a popular—add-on. Carbon-ceramic brakes are $9,900; a carbon-fiber trim package is $9,000; a carbon-fiber engine cover costs $3,600, while the carbon-fiber roof panel runs $6,000. There's also a package of carbon-fiber interior trim for $2,900. A Technology Package tops off the interior with a nine-speaker ELS audio system, a navigation system, AcuraLink, and front and rear parking sensors. It's either $2,800 or $3,300, depending on whether you pre-pay for satellite radio. Color and trim options polish off whatever change you'd expect from the dealer. Painted brake calipers are $700; full power seats are $2,500; an Alcantara headliner is $1,300; and special red or blue paint runs $6,000. It may be a hybrid, but the new Acura NSX gets worse gas mileage than a Honda Pilot. Those numbers are excellent for a car capable of 0-60 mph times of 3 seconds, and a top speed of 191 mph. In absolute terms, those gas-mileage numbers are a lot lower than, say, an eight-passenger Honda Pilot.